A popular dish in Italy, is this Frittata made out of chickpea flour and no eggs! 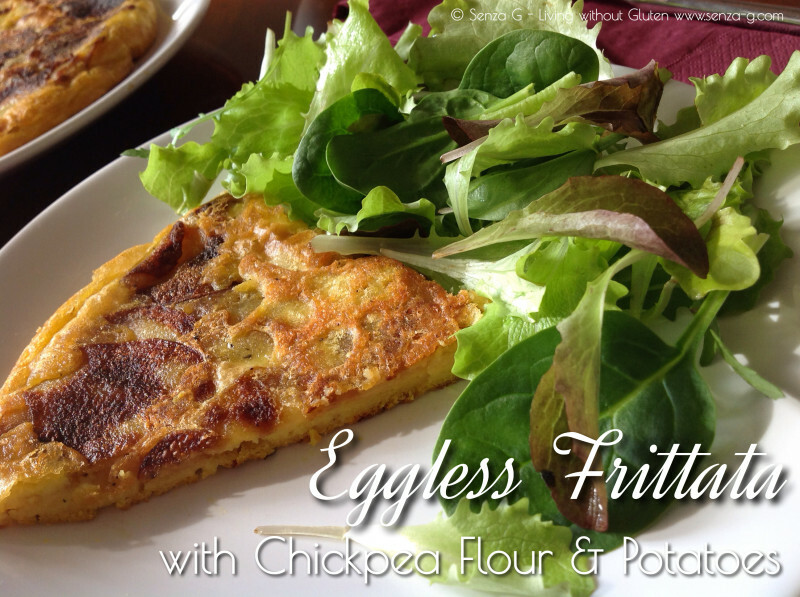 It is great for all those who need to avoid eggs and who miss having an omelette as the texture is very similar to a regular omelette! Apart from sliced potatoes, you can add sliced onions or diced spring onions. In a medium bowl, place the sifted chickpea flour, sparkling water, oil, turmeric, thyme, garlic pepper and salt and combine well. Set aside to rest for an hour. In the meantime, thinly slice the potatoes and shallow fry in a large pan until golden. When cooked, distribute the slices evenly the same pan. Season. Pour the chickpea flour mix over the potatoes, cover and cook on a low flame for about 10 minutes. Then, place a plate over the frittata, flip it over and slide it back so it cooks on the other side as well for another 4-5 minutes. Lovely served with fresh salad.